On a cloudy, rainy early morning, the RRLGA had five women who braved the weather. Pat Linderman, Chris Clark, Candy Burtis, Joanne Heiman and Jean DeChristopher were rewarded with beautiful weather after they got through the first few holes. Come on out and join us on Tuesday mornings. We will continue our summer guest program where new or current women residents who want to try out RRLGA can play as summer guests. If anyone has questions regarding summer play or the summer guest program, contact Kathy Holwick, tournament chair, at kathyholwick@hotmail.com. We play on Tuesdays at 6:30 a.m. on the open Picacho course. 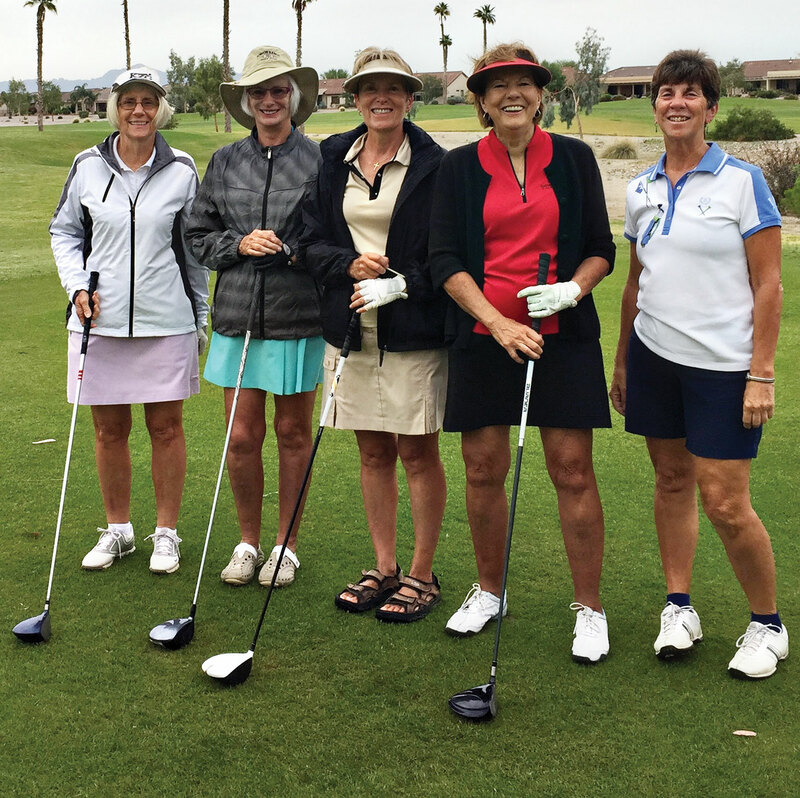 We hope that anyone thinking about joining RRLGA will take advantage of this opportunity to play with the ladies this summer and find out how much fun they have. Come on out and join us for summer play!